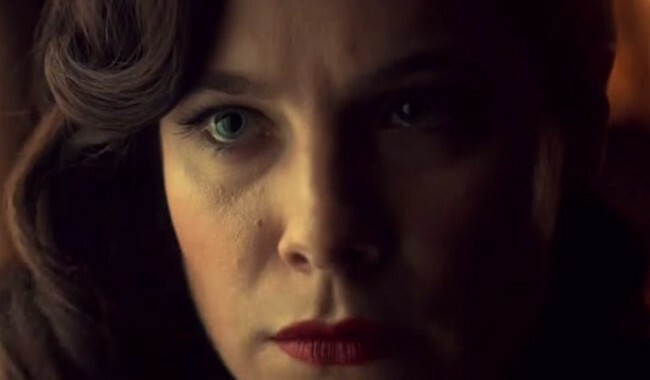 Just as a reminder, we have the inimitable Kyla Furey of Feedback Force doing Hannibal recaps for us right now. So give it up for Kyla! Jack, meanwhile, has come back to Florence with Inspector Pazzi. He says a final goodbye to his wife Bella, pouring her ashes into the river and throwing his ring in after her (Italy is where they first met, appropriate for her final resting place). He also meets Pazzi’s new wife, and becomes remarkably chummy with the two of them in what might be the only truly light-hearted scene in the entire season - perhaps even the entire series. It’s a dinner scene, of course. Pazzi himself is stuck doing boring legwork interviews around the disappearances at Hannibal’s workplace and this sends him unfortunately right into Hannibal’s path. *** The two clearly recognize each other, although Pazzi doesn’t seem to realize that Hannibal recognizes him. You’d think people would learn not to underestimate Hannibal by this point. The inevitable endpoint of that relationship is set in motion. 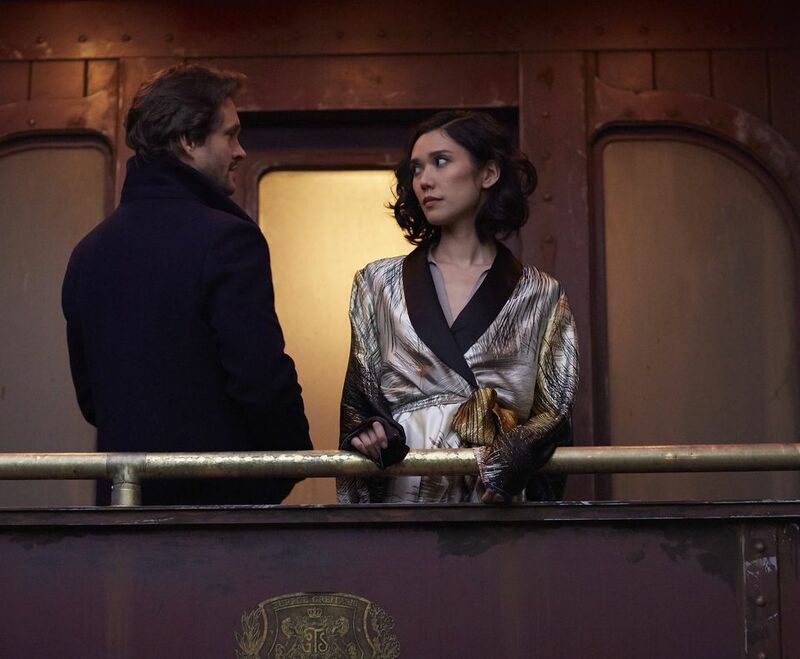 Meanwhile, back in the states, Alana is helping Verger locate Hannibal as well. 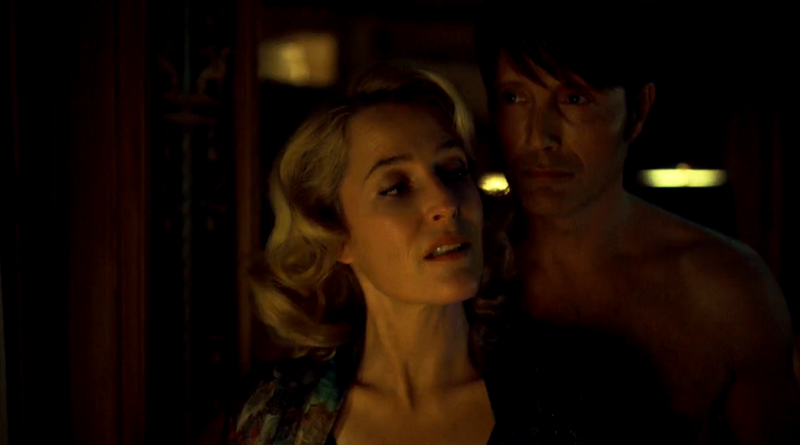 She’s done an excellent job of tracking Hannibal down in Florence via Bedelia’s shopping receipts. It’s a move that, if what I’ve heard is correct, is based on Clarice Starling’s cunning and insight in the books, and it’s really great to show that Alana has similar cunning and insight here. 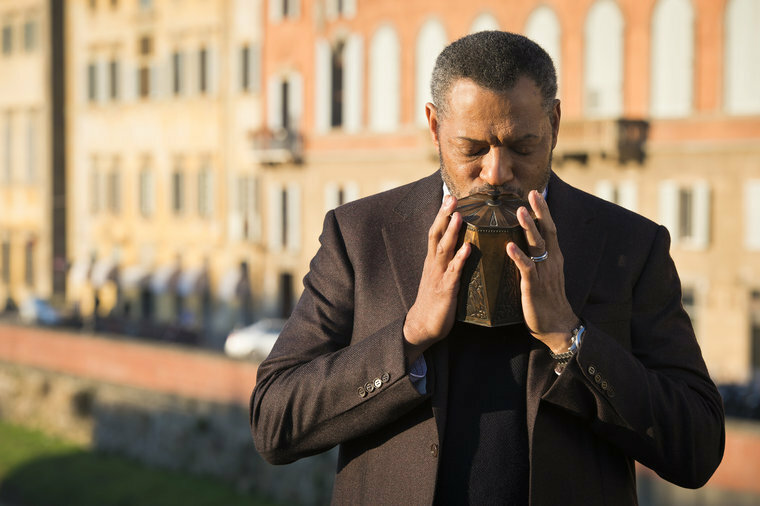 I feel like the show’s effort to make Alana more relevant and effective is somewhat shot in the foot, however, by the unfortunate fact that it is ultimately Pazzi’s information that leads them to Hannibal, not Alana’s efforts. But we’ll get to that. Back on the train to Florence, Will and Chiyo have my favorite set of interactions in the entire episode. First of all, Chiyo tells Will that there are forms of influence other than violence, which seems obvious to us but really isn’t to the characters on this show. Then Will hallucinates Chiyo impaled on some antlers on the ceiling with her blood dripping down on him. He is oddly unfazed by this. Re-watching this episode for the recap, it finally struck me what’s felt so odd about Will this season - he’s just so damn calm all the time. Given that his entire character centered around feeling other people’s damage for the first two seasons, this is a huge change for him. Even when he was stalking Hannibal at the end of season 2, there was a sort of repressed violence and passion to him. But now every line, every scene is delivered with this strangely focused calm. He’s pretty calm chatting with Chiyo too, as they stand at the back rail of the train in the dark and talk about how nighttime is a different place, and how they are different people at night. She reiterates what she told Will about other methods of influence, kisses him, and then pushes him off the back of the goddamn train. You read that right. Chiyo pushes. Will. Off a train. I spent that entire commercial break going “Whaaaa? Wait, did that actually just happen?” (because you never really know with this show). But yes, in fact it did. Chiyo pushed Will off of the back of a moving train, bloodying him up a good deal but apparently not injuring him enough to keep him from walking the rest of the way to Florence. Good grief, Will. So this inevitable thread of Hannibal and Will’s meeting continues to draw closer, but maybe a bit slower than before. Setbacks and all that. Will totally underestimated Chiyo - or at least misjudged her - to his cost. One wonders what Chiyo intends to do when she finds Hannibal on her own, since that seems to be her plan. I’m guessing revenge, but she is highly inscrutable, so I guess we’ll just have to see. Back in Florence, Pazzi calls in his tip about Hannibal to Mason Verger’s multi-million-dollar bounty hotline and attempts to get paid. They require a fingerprint verifying it’s Hannibal before the tip can be fully executed for payment, and everyone except Pazzi realizes that this will lead to Pazzi’s gruesome death. Spoilers: it does. The inevitable scene plays out as it inevitably must: Pazzi disemboweled and hanging from the window of Hannibal’s office in an extension-cord noose. Hannibal is actually remarkably jaunty during the entire affair, finally making the inevitable terrible pun that we’ve all been waiting for for two and a half seasons about not having had a “bite” all day. He even gets a brief phonecall from Alana as her conscience (which still apparently exists, hooray for character consistency) gets the better of her and she tries to call Pazzi to warn him off. I would say Hannibal underestimated Jack here, because Jack did manage to sneak up on him (using Hannibal’s own no-shoes trick) and Jack clearly has the upper hand for the entire fight, but to be honest it actually doesn’t feel much like Hannibal is really trying here. Instead of saving his breath he taunts Jack about Bella, and although he gets thrown around the room a good deal****** he never seems like he’s in that much actual danger. It’s almost as if he’s letting Jack take out his anger, amused by the entire thing. In the end, Jack is the one who underestimates Hannibal’s cunning and his indomitable survival instincts. In trying to bullrush Hannibal out a window, Jack forgets about the corpse hanging from it, and can only watch as Hannibal shimmies down the noose and drops (somewhat less than gracefully, thanks to his injured leg) to the ground, escaping off into the night to end the episode. Things are all coming to a head. The threads all pull together as everyone is led inevitably back to each other. 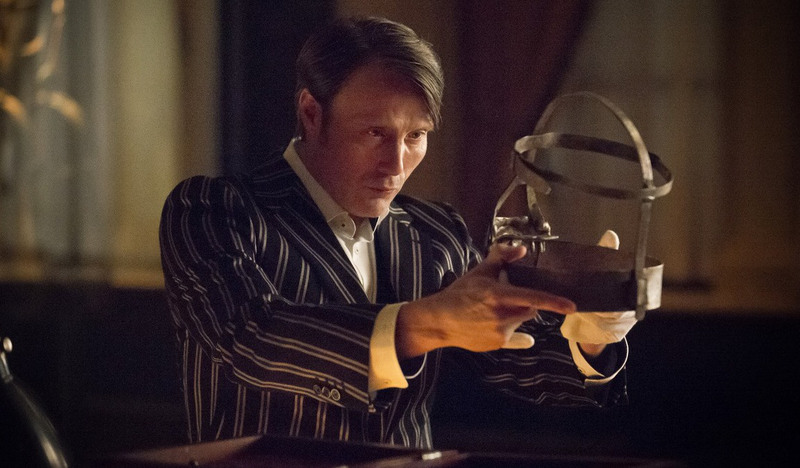 Judging by next week’s preview we may soon get the most long-awaited meeting, the reunion of Will and Hannibal. What happens then is anyone’s guess, but I’d be careful not to underestimate this show; expect the unexpected. * Accompanied by my favorite shot of the episode, a close-up of curling wisps of smoke on a black background. ** Side note: Hannibal is disturbingly physical with her in this scene. He doesn’t do anything more menacing than stand behind her and nuzzle her neck a little bit, but like all the scenes between the two of them this season, it reinforces the strange mercy at which he has her, full of their ever-present tension. 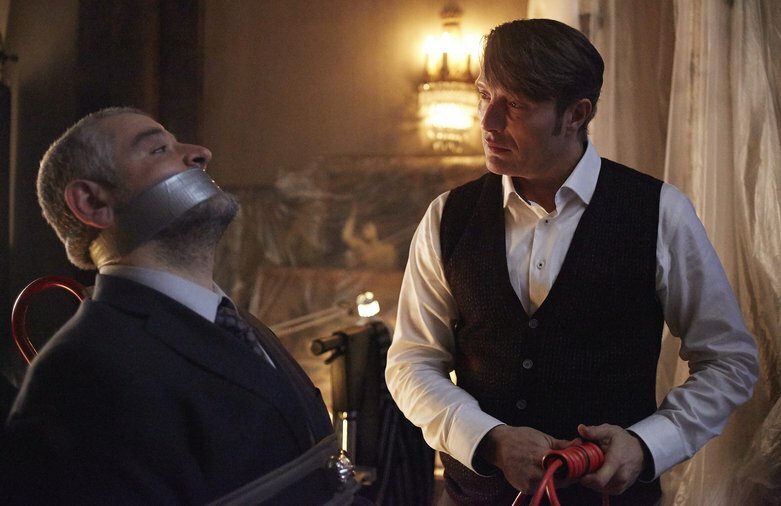 *** Hannibal is preparing an exhibition of torture instruments at the time because, you know, this show. **** My absolute favorite fandom name for the fleshy stag-beast from the chapel. ***** The fight is set, somewhat awkwardly in my opinion, to the most familiar jaunty bit of the la gazza ladra overture, which makes it really jarringly funny for such an emotionally fraught and violent sequence. ****** Including getting some kind of iron meat hook stuck into his leg, because they are after all in a room full of torture instruments. Not to mention the sheer volume of plate glass display cases shattered on Hannibal’s face.